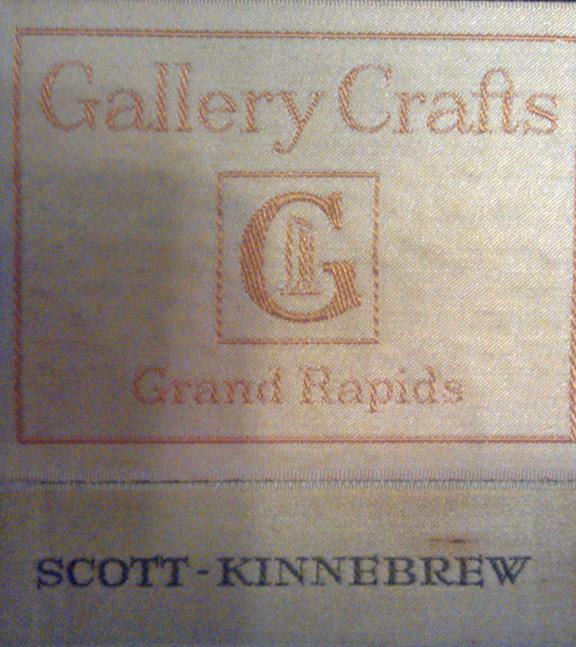 Gallery Crafts label featuring the names of both Kinnebrew and Scott. 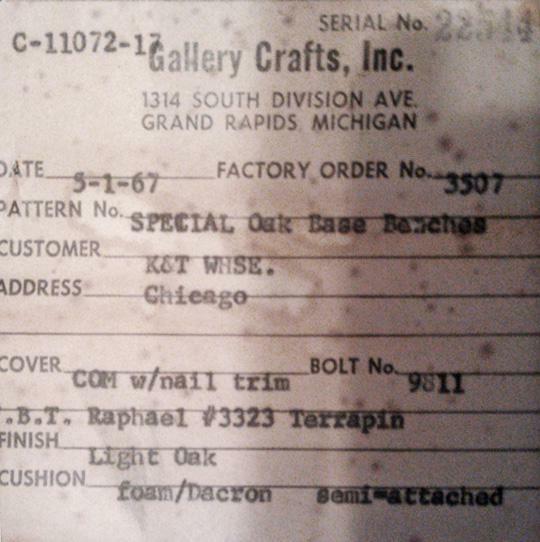 Gallery Crafts shipping tag. Begun as upholsteres of seating frames for Berkey & Gay Furniture Co. During the 1910s frames were made from mahogany exclusively. 1906: Company founded as a subsidiary of Berkey & Gay. 1930: Closes when Simmons closes Berkey & Gay. 1938: Reopens under new management. During the mid-1960's Joseph Kinnebrew was vice president of the company, Kathryn G. Scott, president & treasurer. It appears they created an auxiliary company, Gallery Crafts. 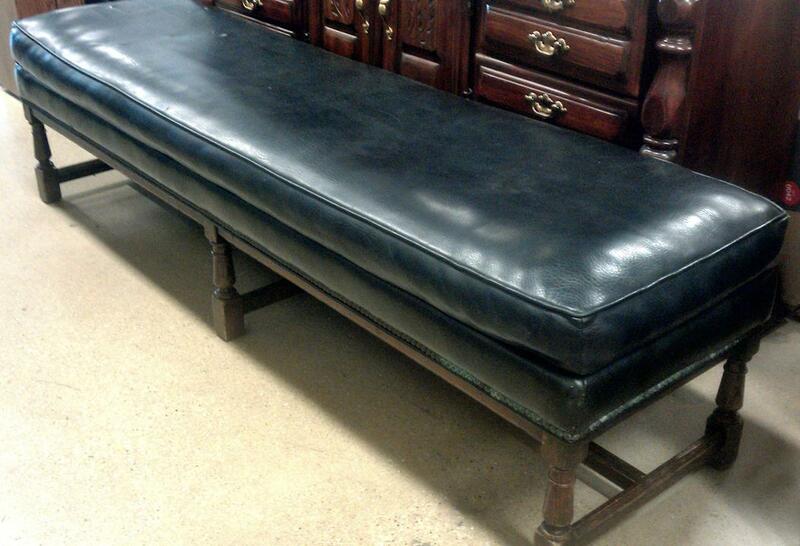 The only clue, so far, to this company has been discovered by Karie Toronyi, who contributed the image of the leather bench, its label, and shipping tag. While Gallery Crafts is not listed in the city directories, the 1967 directory confirms both firms were located at the same address, with the Scott and Kinnebrew as the officers. Consolidated Furniture Companies, Wallace Furniture Co.